With the new BEARINX-online module "Easy Friction", you can calculate all the friction forces at the at the discrete points of the contact surfaces in the bearing. This takes account of rolling friction as well as sliding friction in the solid body friction, mixed friction and fluid friction ranges. In addition, this method also includes losses in the load-free zone, splashing losses from the lubricant and seal friction components. The transparent, menu-driven system allows rapid, simple input of data for model generation, bearing selection and operating conditions. The bearing arrangement for the elastic shaft system can be modelled as a locating/non-locating or an adjusted bearing arrangement. 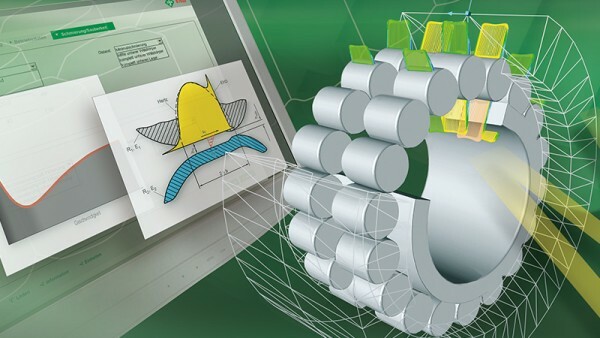 Geometrical data for INA and FAG rolling bearings are loaded from an integrated database. As operating data, you can enter the loads on the shaft system, the shaft speed and the internal clearance class or axial adjustment of the rolling bearings. Data entry is completed by data on the lubricant. The calculation result can be generated as a PDF for your documentation. 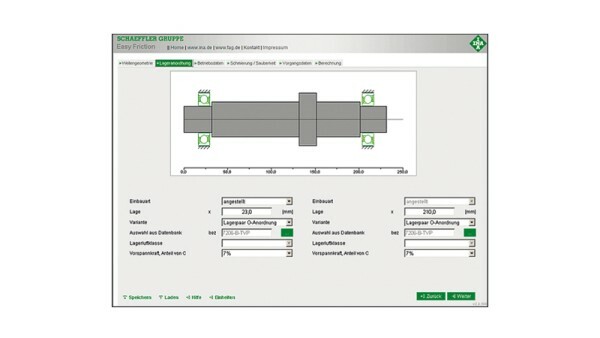 The calculation program "Easy Friction" is available online only and can be used free of charge without restriction. After initial registration, which takes very little time, you can start your calculation immediately.